In one of my previous lives I must have been a panda. 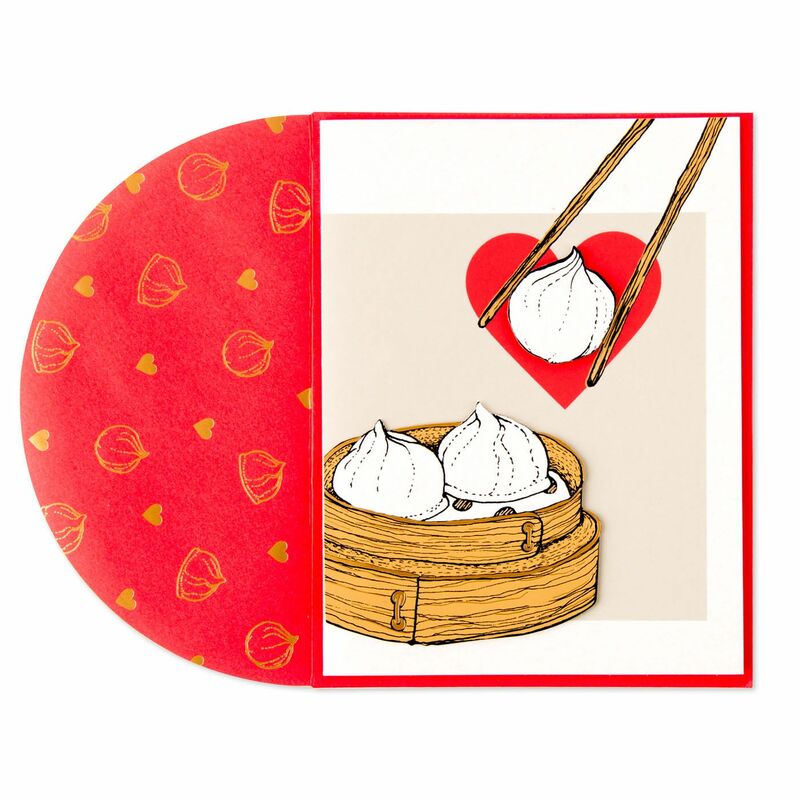 That is the only explanation I can think of for my undying love for any- and everything made with bamboo shoots. 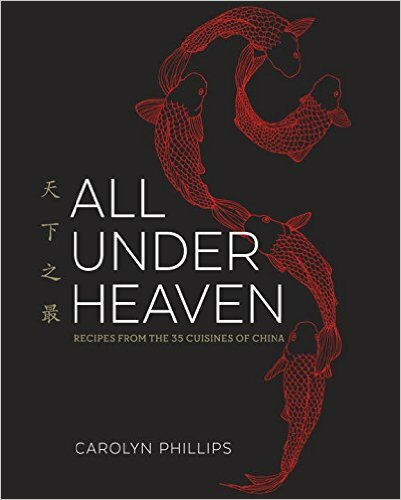 And the more I look into Anhui's cuisine, the more I find to like, because bamboo shoots spring up everywhere just like, well, bamboo shoots. The misty reaches of southern Anhui province are home to some pretty spectacular bamboo forests, and the long, thin "spring" type of bamboo (as opposed to the thicker and squatter "winter" bamboo shoots we've discussed earlier) of Mount Wenzheng are commonly held to be some of the best around, as they are tender, juicy, flavorful, and crunchy. 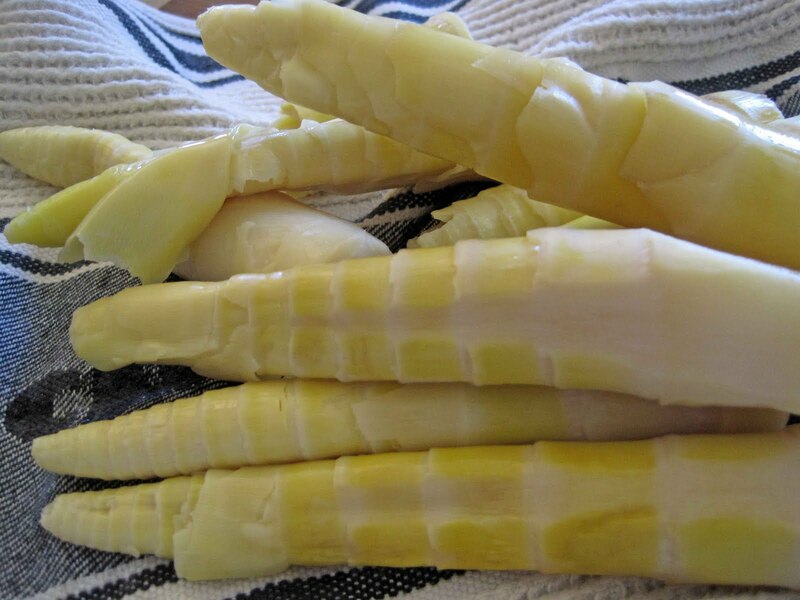 There fame was secured long ago in the Anhui tongzhi (Anhui gazeteer), which said, "Bamboo shoots are produced in Liuyi, Anhui, and the flavor of the Wenzheng ones are the finest." And during the Southern Song dynasty (1127-1279), bamboo shoots were held in such high esteem that they were sent as tribute to the imperial palace. Lots of baggage for these little guys to handle. But handle it they do, and with considerable aplomb. 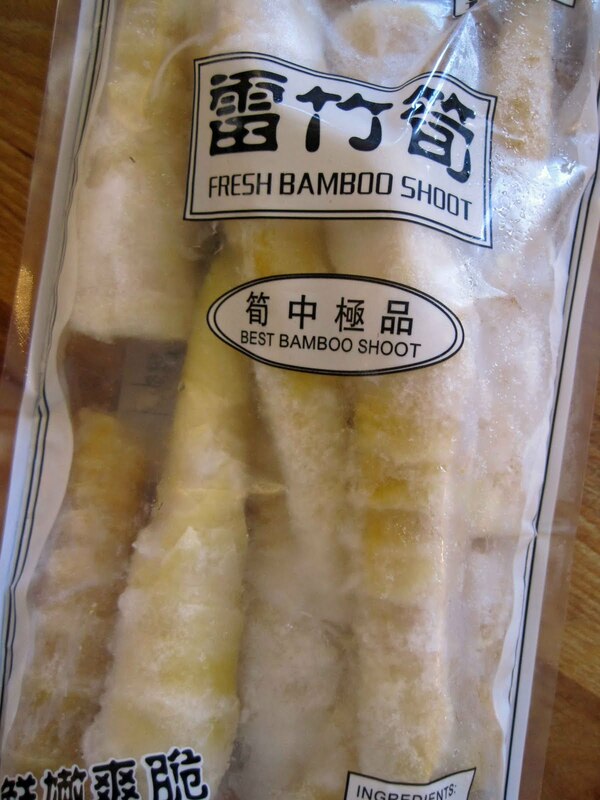 As of this date, though, echt bamboo shoots from Mount Wenzheng are not yet available anywhere near where I live, so I've resorted to some frozen spring bamboo shoots that are really quite good. 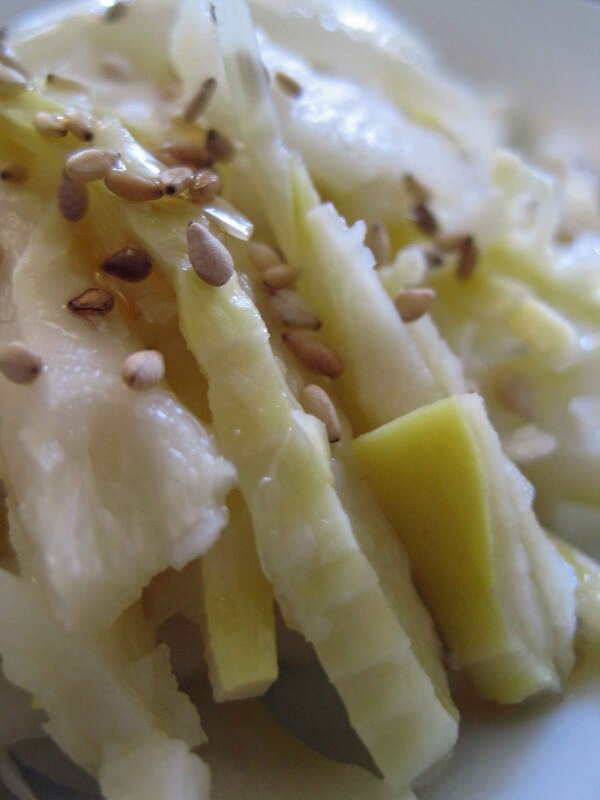 These are available year round, and this cool appetizer is done with a minimum of effort, so when hot weather hits your area, consider making this refreshing dish to start your next meal. Light colored vinegar is the traditional sour note in this dish, but I've come to like fresh lemon juice here instead for its spectacular burst of liveliness and scent. (And that's not just a California thing... lemons did, of course, originally come from China, so I'm just returning the favor.) Only a minimum of sugar is added to balance out the lemon's tartness and a touch of salt to wake up the palate. Also, I sprinkle Toasted Sesame Seeds on top in addition to a few drops of roasted sesame oil to add another level of flavor and texture. 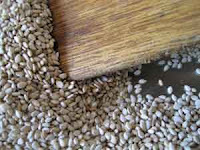 I've included a recipe below for these sesame seeds, which bumps up the flavor and texture a couple of more notches. Pandas shouldn't have all the fun. 1. Place the bamboo shoots in a medium saucepan and cover them with water; add the tablespoon of sea salt and bring the pot to a boil. Lower the heat to medium-high and simmer the shoots until the thickest parts are tender. The easiest way to do this is to pierce an end with a paring knife; it should go in easily. 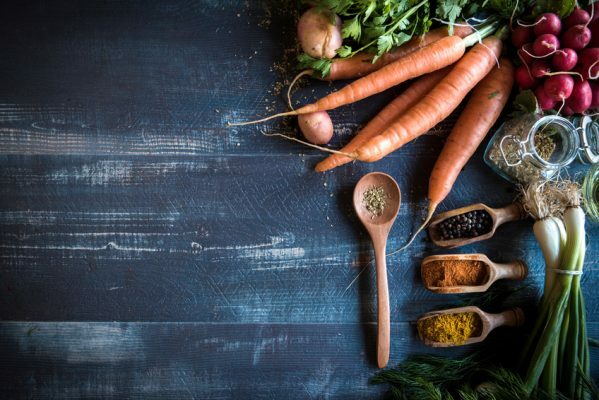 Do remember, though, that frozen vegetables have all been blanched to some degree, so also be careful to not overcook the shoots and turn the tips into mush. 2. 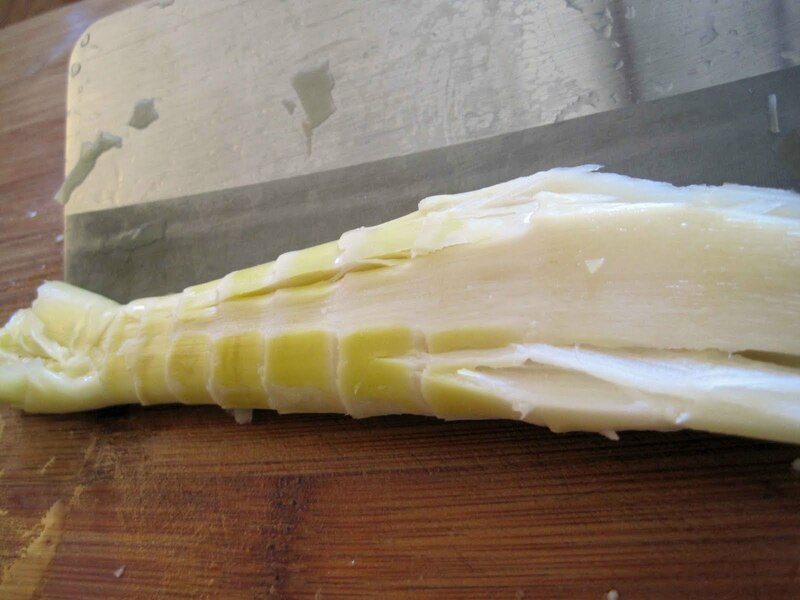 Drain the bamboo shoots and immediately rinse in cool water so that they stop cooking. Drain and pat dry with a kitchen towel. 3. Cut the shoots into 2- to 3-inch lengths. Slice the tip ends into thin strips. Hit the thicker ends with the side of your cleaver to help tenderize them some more, and then cut them into very thin strips. 4. Place the bamboo in a medium work bowl. Add the lemon juice, sugar, and half teaspoon sea salt, and toss the bamboo in the seasonings. 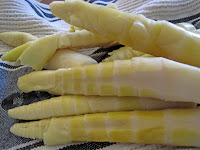 Let the bamboo shoots then sit there for a few minutes to give the sugar and salt the chance to dissolve; if you taste them right away, they will taste sweeter and saltier than they will later on because both ingredients are still crystalline. Once these crystals have melted away, do a taste test and add more lemon juice, sugar, or salt as needed. 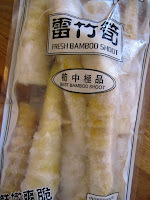 Refrigerate covered so the bamboo shoots get a chance to chill and absorb the seasonings. 5. Just before serving, pile up the bamboo shoots on a pretty plate, drizzle some sesame oil over them, and then sprinkle with the Roasted Sesame Seeds. Decorate with a few sprigs of cilantro or some little bamboo leaves, if you have them. 1. This is one of those recipes that are super easy, but it's also one of those rare ones where lots of senses are involved: eyes, nose, and even the ears. 2. First check the sesame for tiny rocks or foreign matter. Heat a small dry frying pan over medium-high heat until the edge of the pan feels hot to the touch. Do not add any oil. Add the sesame seeds to the dry pan and lower the heat to medium. 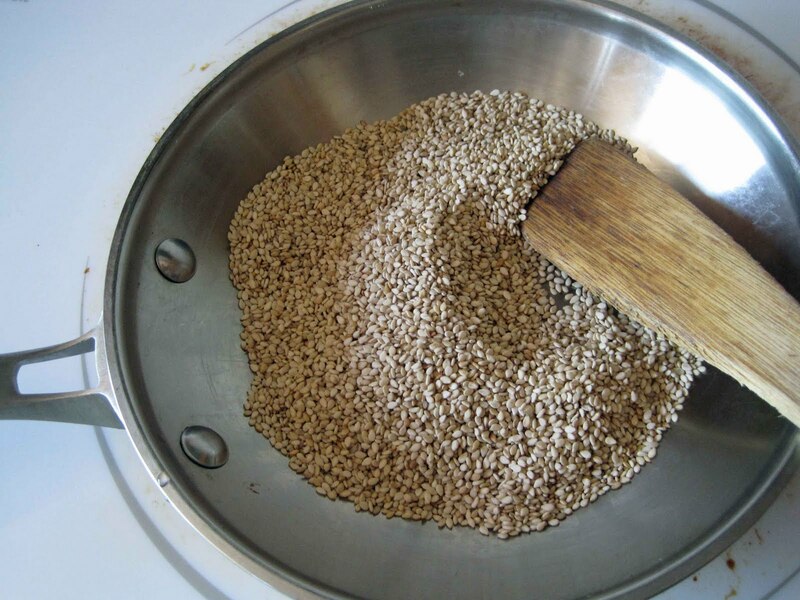 Stir the sesame very often with a flat spatula while they toast, and as the seeds heat up and start to crackle, be sure to stir them constantly. 4. Store the toasted sesame in a jar in a cool, dry place. Try to use them up in a week or two so that they don't lose that freshly toasted flavor. I just discovered your blog today through tweeter ( Dorie Greenspan ) and I would like to tell you I really like your post and recipes. The addition of Chinese characters is very useful. 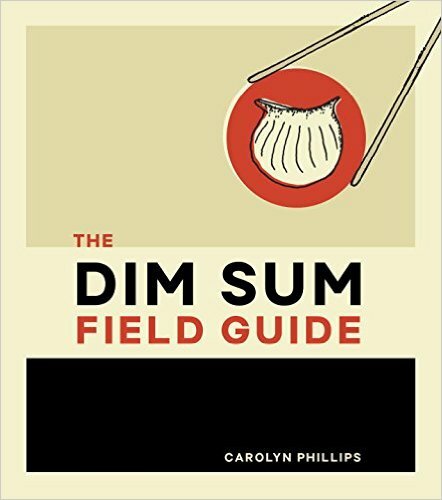 I live in HK and my husband is Chinese (like yours) and whenever We talk about Chinese food it is better to know the Chinese word for it. 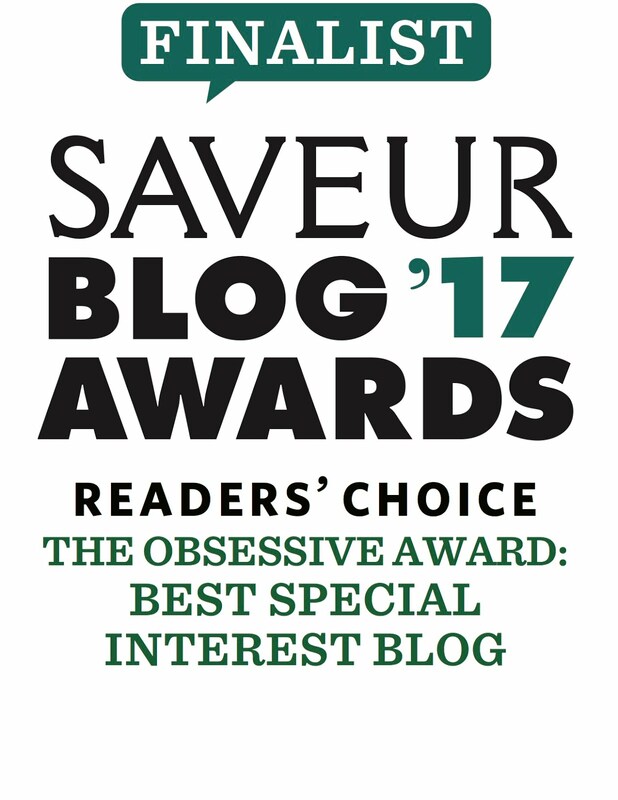 I started a blog a few months ago...nothing comparable with yours I am afraid!